Do you want to be more daring in your classroom and in your life? In this class, we explore what it means to be a daring teacher and some of the things that get in the way of doing so. In order to be daring in our work and at home we have to understand vulnerability, shame, fear, and disconnection. This class is about being resilient in the face of these difficulties, and understanding how being resilient benefits the students you serve. The class is highly interactive and experiential in nature, and is grounded in the research of Brene’ Brown. understand what it means to be “Daring” at work and home. learn the difference between the shame, guilt, humiliation and embarrassment. understand the concepts of vulnerability and fear. be able to describe the effects of shame and vulnerability on people’s lives. understand the importance of recognizing their shame and shame triggers, as well as begin to recognize these in others. unpack societal stereotypes and their role in maintaining vulnerability and shame. learn practices for shame resilience. engage in practices for shame resilience and self-care. "Very interesting and excellent info that will help me help my students. I like the fact that it was a traditional face-2-face setting!" "The conversation(s) we had we could apply skills to our own lives. It was purposeful and beneficial." "Attitude approach of the instructor was positive and encouraging. Ability to work in small groups helped to "get to know" some of the participants." "Course connected to the Trauma Sensitive Schools training that is happening in North Dakota schools." Optional book: Daring Greatly: How the Courage to Be Vulnerable Transforms the Way We Live, Love, Parent, and Lead by Brene Brown. Book is available at Amazon and/or Barnes & Noble. 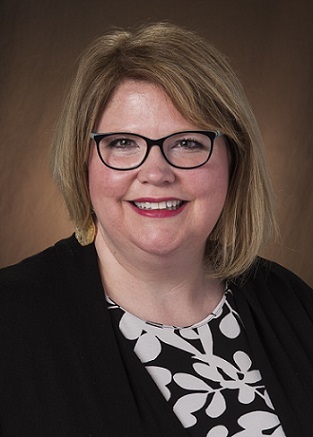 Jill R. Nelson is the Associate Dean for Professional Development and Leadership in the College of Human Development and Education at North Dakota State University (NDSU) and an Associate Professor in the Counselor Education and Supervision program. Dr. Nelson received her B.A. degree in Psychology and German from the University of South Dakota, as well as her M.A. degree in Counseling and Psychology in Education. She received her Ph.D. in Counselor Education and Supervision at Kent State University in Kent, OH. Jill’s research interests include faculty development and mentoring, shame and shame resilience, and counselor supervision. She has been at NDSU for 13 years in the counselor education and supervision program. She teaches courses in the clinical mental health and doctoral programs, including a popular course called, "Shame and Shame Resilience." She is a Certified Daring Way Facilitator, and facilitates workshops and leadership training using the Daring Way curriculum based on the research of Dr. Brené Brown.